A Fish Called Wanda!!! Fish or Jamie Lee Curtis?? Does it matter who it is – Fish or Actress!!! The film starts with a great plan to steal diamonds and share among 4 friends – Wanda( Jamie Lee Curtis ), killer Otto ( Kevin Kline ) , ( Micheal Palin ) as KKKKKen Pline and the mastermind Georges ( Tom Georgeson ). After a successfull execution things go wrong when Wanda and Otto double cross Georges by tipping the police against him. But unfortunately for them, Georges changes the place where he hid the diamonds to make matters more complex. There comes John Cleese as the baristor Archie Leach, and now Wanda, Otto must find out where the diamonds are hid by using Archie who is defending Georges. I will not spoil the central part of the film for people who have not seen it, but situations make the film so hilarious that you will hardly stop laughing. Kevin Kline is impeccable as Otto and deserved the Oscar for a supporting role. But I would say that Micheal Palin was stand out for his “stammering” performance. You have to see it to really appreciate the story, dialogues and the acting of all the characters. 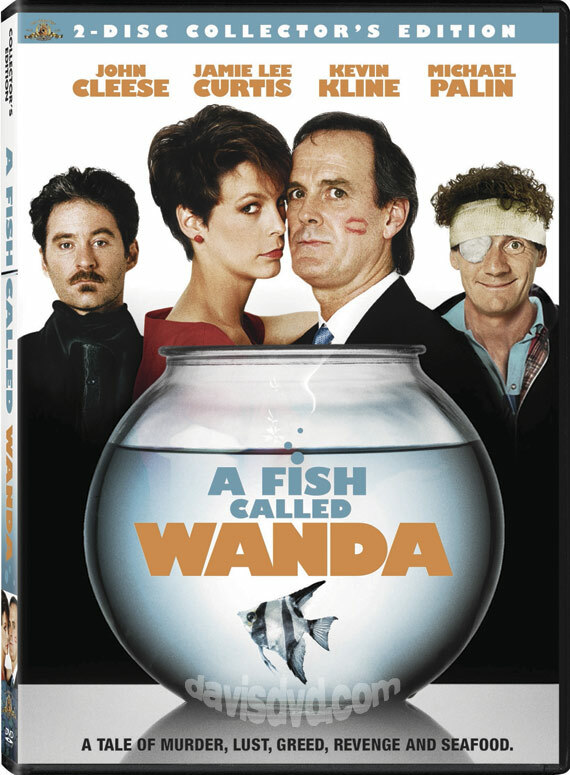 A simple classical comedy for all movie lovers… A Fish Called Wanda!! !